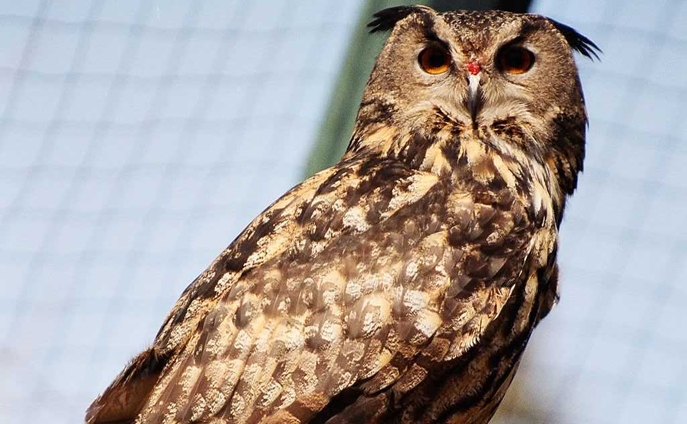 Eurasian eagle owls are the largest owls in the world and have no natural enemies. Like eagles, these owls nest in hollows high on rocky cliffs. They are closely related to the great horned owl of North America and share many characteristics: ear tuffs, colouring, and diet.